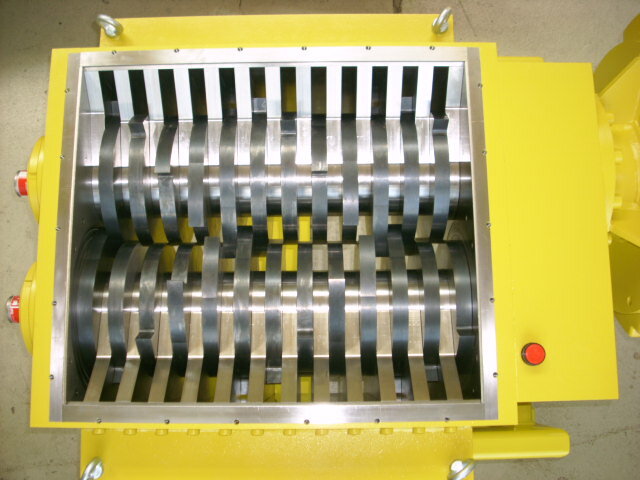 Precipitating shredding requirements can be solved almost without restriction by hydro-rotor shears with special saw shapes (selection of different saw widths). The blades are hydraulically driven and offer a soft, gentle operation with low energy consumption and low noise. We supply rotor shears with automatic control, a substructure with inspection door. 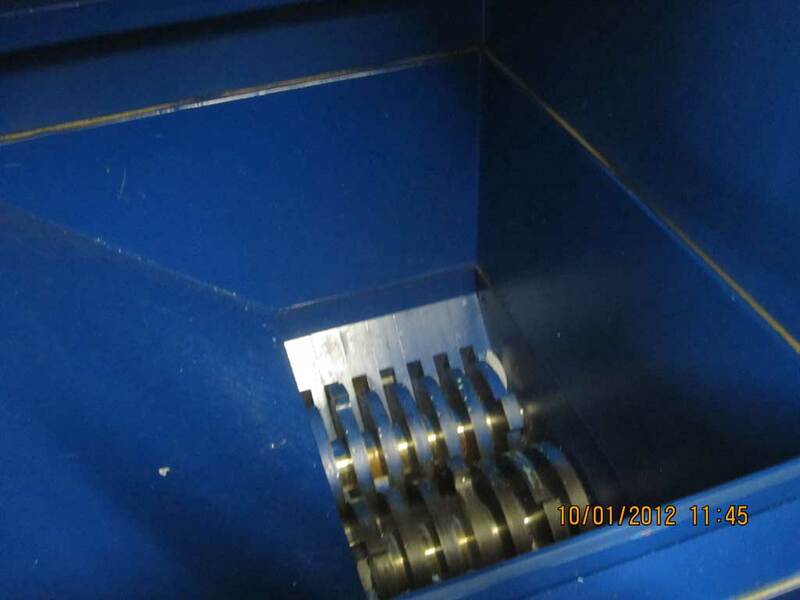 Bigshred Hydraulic Rotary Shears HRS: A technically and economically optimum solution for all your shredding tasks. 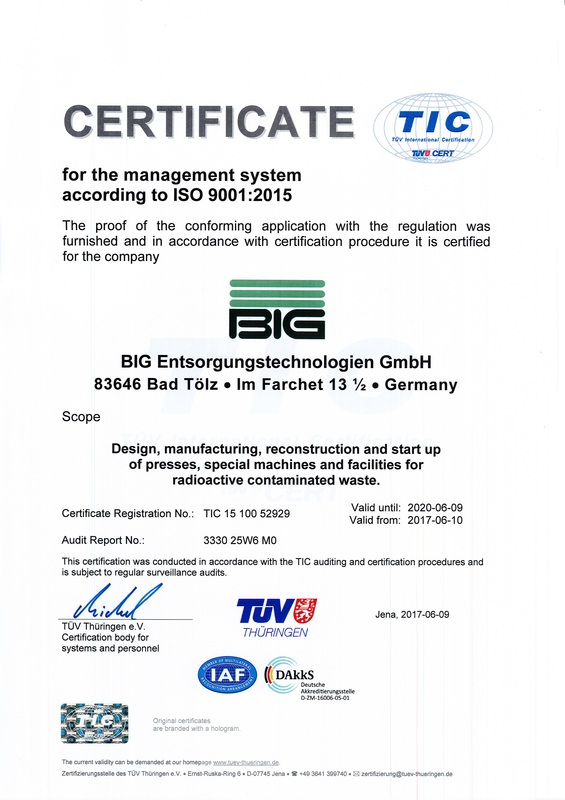 our competence in technologies for shredding, handling, transport, fractionation, segregation and compacting. Talk to us, we will be happy to help you. According to BIG warranty outlined in terms of sale. by a high-tech tempering process. Precision cutters allow for exchanging individual blades. Special cutter driving collar for maximum, lasting force closure between shaft and blade. Outstanding feed und shearing action Optimized, special blade shapes for a nearly unlimited spectrum of materials. The cutters are driven hydraulically which results in a smooth, gentle operation to ensure the long life. Maximum performance with low energy use due to hydraulic unit. Just an oil change after approx. 2000 hours of operation (displayed). The best maintenance we can offer you is the kind you do not need. Rugged, superior construction down to the smallest detail. High-quality electronic control system and electrical systems.